I saw a Vanessa doll for $54.99 asking price on Amazon. That is the most expensive one I saw. I truly wish your doll was worth this kind of money but from research it is really doubtful that your doll would sell for even $50 as most of this collection is listed for under $35 and many have the original box and COA included. I did not find one that sold so even at low prices this series is not moving very quickly. 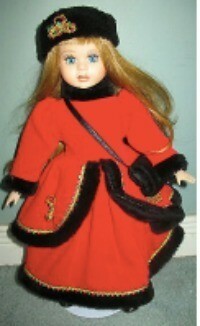 Dolls are very slow movers and sellers many times keep their dolls listed for months and even years and many just take them down and donate them to charity. Here are some similar dolls (and I cannot see or find anything particularly special about your doll) presently listed on eBay. eBay is considered the largest doll selling venue in the world. Perhaps someone else will have more information available but from my research, you would be better off to list her on something like Craigslist and name your price. You can always reduce the price if no one shows an interest. I hope I am wrong and you are able to sell your doll for much more money.